A SPECIAL TREAT FROM JAI AND ANJALI ON JUNE 19TH! 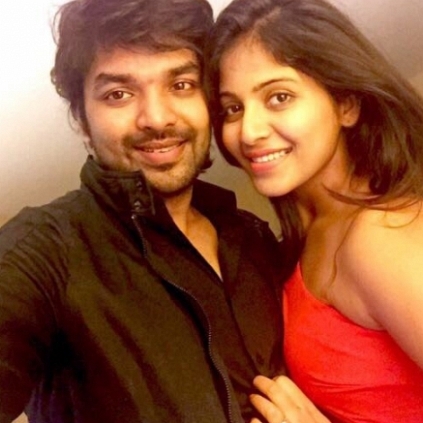 Actors Jai, Anjali and Janani Iyer are part of a Tamil movie titled ‘Balloon’ directed by Sinish. It is supposed to be a horror movie and the glimpse of the film had been released sometime ago with Jai in an attire of a balloon seller dressed like a clown. The latest about Jai and Anjali’s Balloon is that, it will have it’s teaser releasing on June 19, 2017. Balloon has music by Yuvan Shankar Raja and editing by Ruben. It has been jointly produced by 70mm Entertainment and Farmer's Master Plan Productions. Its all for Arvind Swami! This filmmaker asks his trollers to get a life! People looking for online information on Anjali, Jai will find this news story useful.